As soon as a child is born, there is so much pressure to “get it right”. Do we bottle feed or breast feed? Do we let them sleep in our bed at night? Do we get them in a routine? And very much so on…. However, one of the most important parts of parenting for me is to prepare them for real life. Aren’t we really here to guide and support, and help to give them a sold grounding, and create a happy picture of their childhood, or at least some solid happy memories to take into teen and adulthood – making memories that provide a certain amount of security for those turbulent times? There are plenty of things you can do that will create that solid platform for those happy childhood memories; giving a secure base to face that life as the “older them”. A childhood that we hope they will look back on and cherish. 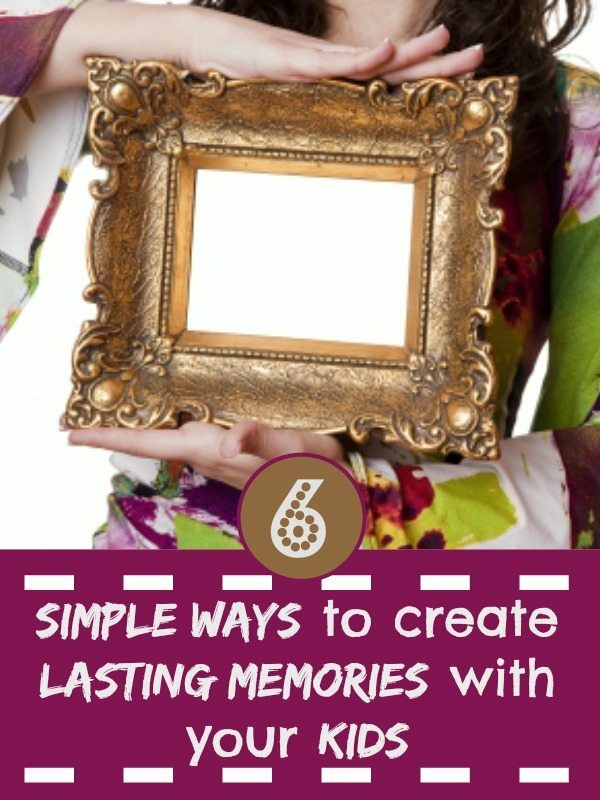 Here are some really simple ideas for making memories…. One of the most magical gifts of childhood is reading a book with a loved one. From an early age we have made bedtime reading a part of our routine and we still enjoy gripping a book, laughing and joking at the funny bits. My kids are 7 and 9, and we read together every night. It is becoming harder to pick the books that both my son and daughter will like; but we manage it, somehow! I remember the times when my children would recite their picture books while “sort of reading” from their pages. Believe it or not, it is these little moments that your children will cherish for a long time to come. Take a moment to think of all the conversations you have had with your kids and consider how many of those are giving instructions? I am guilty of it as I am sure everyone else is. Now, everyday, we try and find at least ten minutes to sit and openly ask questions, to find out about their day, and to give them a voice. Not only will it will encourage their learning capability, but also help cognitive thinking and independence. It may not be a big deal to you, but it is for them. We have a few nights a week now where we aren’t doing anything; no afterschool clubs. If this isn’t possible due to work commitments, perhaps you can carve time out at a weekend? This gives us all a little bit of time where we can actually “play” together. We enjoy Sunday walks, movie nights and the odd games night. We even have a little chat each night before we go to create a positive bedtime routine before we sleep. My husband has even got creative, and gives the kids a little puppet show with their toys in the bedroom before their nod off – a tradition that we even have to keep up when we go on holiday! Cuddle Uppets are amazing for this…and are also rather magic in the car too. So as you can see, building lasting memories need not be a challenge; it is about seizing the opportunity when it presents itself. How do YOU make those special memories with your kids?